And when he was come near, he beheld the city, and wept over it, saying, If thou hadst known, even thou, at least in this thy day, the things which belong unto thy peace! but now they are hid from thine eyes. For the days shall come upon thee, that thine enemies shall cast a trench about thee, and compass thee round, and keep thee in on every side, and shall lay thee even with the ground, and thy children within thee; and they shall not leave in thee one stone upon another; because thou knewest not the time of thy visitation (Luke 19:41–44). Luke 19:41-44 is used frequently to support a compassion of Christ upon the reprobate. Christ, it is said, is here in His special office as Mediator. He is speaking here as the Messiah—the Godman—and in grief and sorrow He is said to be lamenting a city already lost. Christ Jesus is said to have wished that His coming might bring salvation to all. For what other reason, it is asked, did Christ “weep” in this passage other than as an expression of earnest compassion and lovingkindness and a concern towards the salvation and well-being of many who ultimately perished? Matthew 23:37 (“O, Jerusalem, Jerusalem”) is often thought to be parallel passage to this one. However, Luke 13:34-35 (“O, Jerusalem, Jerusalem”), is likelier to be the parallel; Matthew 23 and Luke 19 must surely then be two separate occasions …? Regarding the difference and similarities between Luke 19:41-44 and Matthew 23:34-39, while it might be true that these are two separate occasions, the difficulty is the context of both passages lead many commentators to link the two together in the last week of the Lord’s life. However, it seems difficult to miss the similarity in the content of what Jesus says in either passage. That similarity is helpful in the exegesis of both passages, especially in Luke 19 in which the exegete faces the task of an explanation of “wept over it” whereas this is not found in Matthew 23. One thing that helps guide the exegesis of the Luke 19 passage is the earlier context. In the earlier verses in Luke 19, Jesus had just entered Jerusalem. The Jerusalem that receives Jesus cries out, “Blessed be the King that cometh in the name of the Lord: peace in heaven, and glory in the highest” (vv. 37-38). The Pharisees rebuked this outcry (v. 39), but Jesus replied that if these loud Hosannas had not been uttered, then the rocks of Jerusalem would have cried out (v. 40), indicating that this was the will of the Father that Christ be received into Jerusalem as the King, as the Christ, as the Son of David. Over the Jerusalem that received Jesus as the Christ in Luke 19, Jesus wept. He takes the organic view of the Jerusalem, that OT revelation of the Church, from the viewpoint of its receiving the King. Among what has been written by Reformed commentators in harmony with the Canons of Dordt and all of Scripture regarding double predestination and the particularity of God’s mercy, we see in the weeping of Jesus over Jerusalem a revelation of God’s righteousness and judgment against Jerusalem. Jerusalem could never say in the judgment that they were not told that judgment was coming upon them. Jerusalem (neither reprobate nor elect) could not accuse God of failing to warn them of judgment and destruction related to the cross, resurrection, ascension, and Pentecost because God sent them the prophets and even His only begotten Son to warn and call to repentance and faith, but even Him they would not hear. Jesus faithfully declares that God is righteous in the destruction of Jerusalem in the day of her visitation. But, Jesus weeps for His own who rejected Him, but through that coming judgment, would be redeemed. Jerusalem is redeemed through judgment. Through the death and atonement of Christ, God justifies ungodly Jerusalem, that must receive the King, by faith alone. God does not justify everyone, but the Jerusalem of His elect, who by nature crucified Christ, but must be justified through Him and sanctified by His Spirit and glorified with Him. When the Man of Sorrows weeps (Isaiah 53; John 11:35), He weeps always in connection with His humiliation and the curse which He bore His whole life as the Mediator of His elect. His weeping is not merely a human emotion with no basis or a very superficial knowledge. His weeping and sorrow, even at the grave of Lazarus, was part of the work of the redemption of His elect from sin, guilt, death, and grave. It is connected to His cross and resurrection. Further, because Christ made plain that His death is particular for His sheep only, it is important exegetically that we work from that starting point to interpret Luke 19:41-44 or Matthew 23:34ff or even Ezekiel 33:11 (more difficult passages). Let us not do, as others have mistakenly done, and take our starting point in Luke 19 and interpret it how we might like it to mean, and then use that as a basis then to figure out for whom Christ died and what He meant by “sheep” in John 10. That does not follow the rule: clearer passages of Scripture must be used to interpret more difficult passages. A simple rule. Safe. And, by it we develop sound interpretations and confessions. And, as is the case in Luke 19, the context will help us interpret the text. The context helps us interpret over what Jerusalem Jesus wept and why. The argument that finds a gracious and well-meant gospel offer in these texts is this: If Jesus was sorrowful at the impending judgment of Jerusalem, which would leave Jerusalem lying in heaps of rubble, His sorrow must have been born in His desire to save the inhabitants—and His failure to do so. He was stymied in His desires and failed to accomplish His purpose in spite of His best efforts. Thus some, claiming to be Calvinists and claiming, therefore, that God always accomplishes His purpose, have no other recourse available to them than to conclude that a sovereign God failed to save those whom He loves and desires to save. 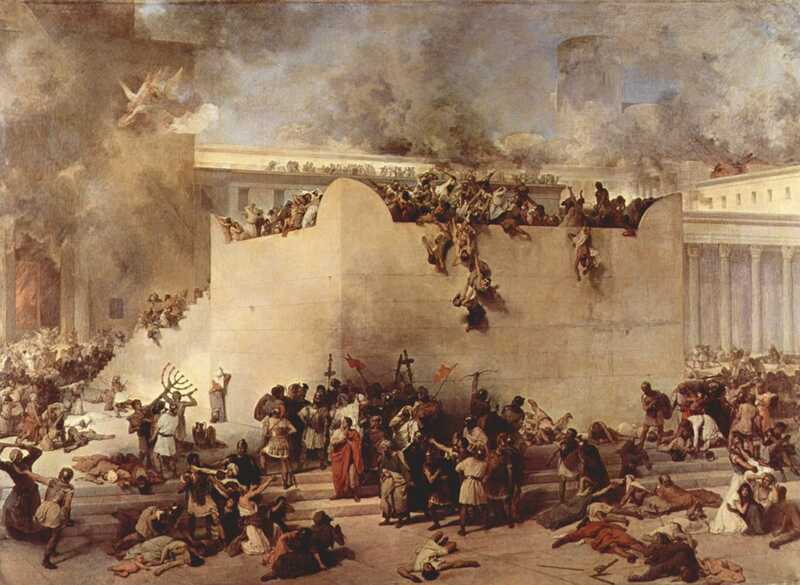 No appeal to “apparent contradiction” or “higher logic in God than in us” can escape the conclusion that our Lord was bitterly disappointed that His best efforts to save Jerusalem were stymied by Jerusalem’s unbelief. It has also been argued that Christ, according to His divine nature, willed and desired the salvation of the elect only but that according to His human nature He desired the salvation of all men. This interpretation was offered in an important church case in Australia. But the one who taught this view was rightly charged with Nestorianism, that is, the error, condemned already by the church at the Council of Ephesus in 431, that our Lord had two persons. When this heresy of Nestorianism is applied to the gracious and well-meant gospel offer, the result is confusion. Our Lord Jesus Christ, who is personally the Second Person of the Trinity, and who is (to use the words of the Nicene Creed) “true God of true God,” was fully sovereign in all that He did, especially in His salvation of the elect for whom He died. But that same Lord Jesus Christ was also a human person who earnestly desired the salvation of all men and in love and mercy for all sought their salvation. Our one Lord Jesus Christ living in a state of constant contradiction! How can that be? But Scripture does not teach such “paradoxes” and “apparent contradictions,” and those who claim that it does, do so only because they have an axe to grind: they want to spread abroad the notion that God loves all men and would save them all if He could. The reason for our Lord’s sorrow is relatively easy. Jerusalem was the capital of Israel. Israel was the one people that God had chosen to be His own possession and to whom He had given special gifts (cf. Rom. 9:4-5). Furthermore, Jerusalem was filled with pictures of Christ Himself: the throne of David and Solomon, the temple, the many sacrifices that were made daily in the temple, the feasts celebrated in the holy city and Mount Zion itself, beautiful for situation and the joy of the whole earth (Ps. 48:2). All these pictures had served a very good purpose throughout the entire old dispensation. That these beautiful pictures of Christ were marred badly by the wicked scribes and Pharisees was the reason for Christ’s sorrow. Is not this understandable? Would you not be grieved if some wicked person took your best photograph and spoiled it so terribly that you looked like a monster? Would you not be very sorrowful if someone in hatred painted a beard on a photograph of your mother? Christ was like us in all things, sin excepted. He was also a man of sorrows and acquainted with grief, who could weep over the death of His beloved Lazarus—even though He knew He was going to raise Lazarus from the grave. The pictures were hopelessly ruined, with no chance of proper restoration. Our Lord could see Jerusalem in all its splendor as it pointed to Himself. He was saddened by what was about to happen to it. But He was also angry. When He saw the temple, a picture of His own blessed body, made a den of thieves, He was infuriated. In His anger, He drove out the buyers and sellers and the animals that were sold within its precincts (John 2:13-22). It certainly is not strange that Christ, Himself true God of true God, was grieved at the sin that made Jerusalem the ugly spectacle that it had become. God certainly was grieved with Israel when they constantly rebelled against Him in the wilderness (Heb. 3:10, 17; Ps. 95:10). Surely, there is no one who would dare to say that God delights in the sin of man, much less His own people. Surely, no one would hold to the position that God is filled with joy when the church corrupts His truth and makes a caricature of His sovereignty. The very idea is blasphemous. But to conclude from God’s anger with sinners and His abhorrence of sin that He desires to save all men is a monstrous corruption of simple logic. The truth of Scripture is that God loves His elect with a love revealed in the cross of Christ and God so greatly abhors the sinner that He punishes the sinner with eternity in hell. The gracious, well-meant gospel offer claims that God desires the salvation of all men (including the reprobate). The preaching of the gospel is, according to that view, intended to demonstrate God’s love, mercy and grace to everybody in the hope that men might be persuaded to forsake their wicked ways and believe in Christ. According to that view, Jesus’ weeping over the city in Luke 19 is evidence of His disappointment that all He had done for the city had ended in failure. Many serious objections can be brought against the well-meant gospel offer, not the least of which is that the omnipotent God in Jesus Christ is unable to accomplish that which He wishes: He wishes to save all, but is successful in saving only some. Some theologians, more inclined than others towards the teachings of Calvinism, have had to cope with two wills in God: one will of election according to which God wills to save only some, and another will according to which He desires to save everybody. Not only does God have two wills in this view, but the two wills are contradictory! For the days shall come upon thee, that thine enemies shall cast a trench about thee, and compass thee round, and keep thee in on every side, and shall lay thee even with the ground, and thy children within thee; and they shall not leave in thee one stone upon another; because thou knewest not the time of thy visitation. We need also to note that the destruction of Jerusalem was according to God’s eternal purpose. This too is taught in the text. Jesus bemoans the fact that Jerusalem’s destruction would not have taken place, “If thou hadst known, even thou, at least in this thy day, the things which belong unto thy peace!” These things that belong to Jerusalem’s peace are “hid [by God] from thine eyes.” This is sovereign reprobation. In connection with the clear teaching in the text of the doctrine of reprobation, we must emphasize that reprobation does not cancel out man’s accountability before God for his sins. God accomplishes His eternal decree of reprobation in such a way that man is culpable for his sins and deserves eternal damnation for them. While God had hid from the leaders in Jerusalem the “things which belong unto thy peace,” these things were also well-known to the leaders who were guilty of rejecting them. When Jesus says, “If thou hadst known, even thou ...” He refers not to the mere formal knowledge of the Old Testament Scriptures, which the Jews surely possessed, but to the saving knowledge that gives the spiritual ability to believe these things and act accordingly. The distinction is the same as Paul uses in Romans 1:18ff. The wicked know that God is the only true God and that He must be served, but they suppress the truth in unrighteousness—and in this sense do not know it. Jerusalem was to be destroyed because the Jews did not know (and believe) the things that belonged to Jerusalem’s peace. The things that belonged to Jerusalem’s peace were Jerusalem’s status as the capital of the nation and the centre of God’s worship in the temple as these things in Israel’s life signified, typified and pointed ahead to the Messiah, the Christ, the One who had now come to fulfill all these types. They wanted no part in the Messiah and clung firmly but foolishly to the pictures, despising their reality in Christ. They were like a man who worships the photograph of his wife while treating her with cruelty and being unfaithful to her. But if Jerusalem’s destruction because of Israel’s unbelief was God’s sovereign work, why did Jesus weep when He saw the city’s unbelief and its subsequent destruction? It is completely in harmony with God’s Being and with Christ’s divine nature to say that sin makes God “sad”—as it made Christ sad and brought about His tears. The decree of reprobation as it is sovereignly carried out in the way of man’s sin does not preclude God’s hatred of sin and His “distress” at man’s refusal to obey Him. God has no pleasure in the death of the wicked but that he turn from his evil way (Eze. 33:11). God has no delight in disobedience to His law and takes no pleasure in man’s rebellion. It is difficult for me to imagine that anyone would teach this hateful doctrine. To take an opposite position would mean—would it not?—that God is pleased with man’s sin and rubs His hands in glee when men transgress. Reprobation is sovereign, but man is accountable for his sin, and his iniquity brings down upon him God’s judgment. If God would not punish man for his sin, then He would not be God—holy and true, righteous and spotless, rejoicing in purity. We belong to and worship the one true God who takes pleasure in holiness and rejoices in uprightness. Jesus was sad because Jerusalem had rejected Him to whom the whole Old Testament pointed for He was the one who had come to fulfill it all. God’s sovereignty, also in reprobation, must not obscure His hatred of sin and His just punishment of the sinner. That Christ, also in His divine nature, was sad because of Jerusalem’s wickedness must not be interpreted as disappointment or frustration—as with the well-meant gospel offer. It must be interpreted as God’s hatred of sin and determination to maintain that which is pleasing to him, namely holiness. In the parallel passage of Luke 19, Matthew 23:37, with which Luke 19 must be compared, Jesus teaches His will to gather Jerusalem’s children, distinguishing Jerusalem and her children. Jesus did not will to gather all “Jerusalem,” that is, the members of the Jewish nation, but her “children.” Despite the nation’s opposition in its officials, Jesus did gather Jerusalem’s children. Jesus’ will to salvation was definite—Jerusalem’s children—and this will was accomplished despite the opposition of Jerusalem’s officials. Jesus’ weeping over Jerusalem was not sorrow over a frustrated will to save all, but characteristically human grief over the fatal wickedness of a city and people that had once been the city and people of God. The sin of unbelief with its certain consequences of destruction grieved Jesus, as a man, deeply. This in no way implied the failure of Jesus as God’s Savior to save all whom the Father had given Him in the decree of election, namely, Jerusalem's “children,” the elect Jacobs in distinction from the reprobate Esaus.